Sign up for our service and we'll tell you when things are happening in the night sky. You'll never miss another geomagnetic storm, meteor shower, planetary convergence or visible space station flyby. We've delivered over 1.2 million alerts to satisfied sky watchers in over 25 countries! 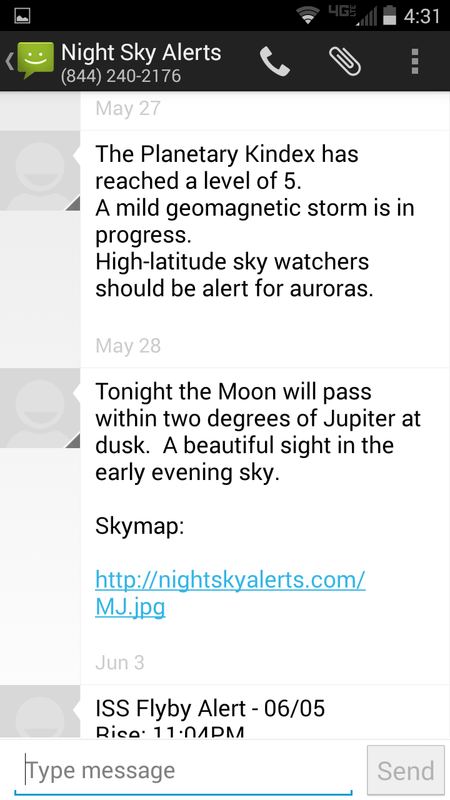 The Night Sky Alerts Service is for everyone: casual sky watchers, serious astronomers, moms, dads, students. You can configure your account to match your interests and abilities. 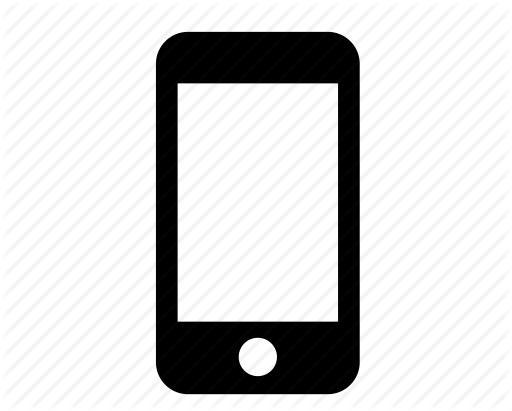 Night Sky Alerts is a global service: we can message every continent, including Antarctica. Photographers use Night Sky Alerts to catch elusive auroras and "photo ops" involving the Moon and planets. Casual sky watchers use Night Sky Alerts to spot new comets, planetary alignments, and meteor showers. The sky is filled with sights that are easy to see with the unaided eye. Most people miss them simply because they don't know when to look. 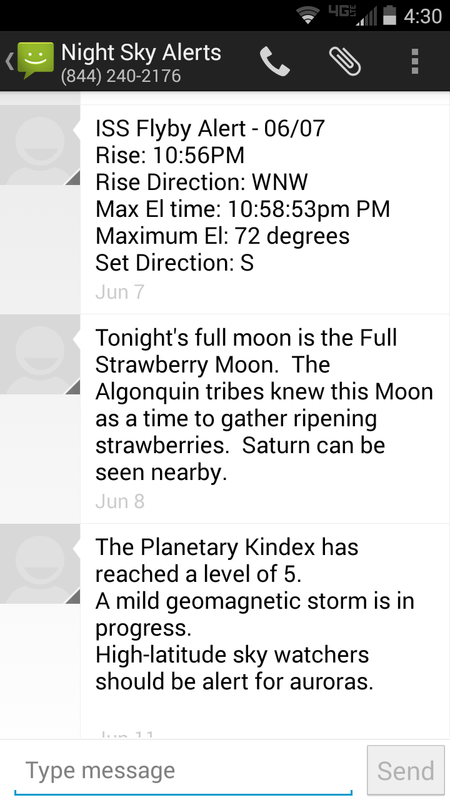 Serious astronomers value Night Sky Alerts because it connects them to Earth-orbiting satellites via their phones. They instantly learn when solar flares explode, when solar wind gusts sweep past Earth, when the interplanetary magnetic field tilts south and when auroras are likely to occur.